Do you ever buy those chocolate oranges that are sold around Christmas time? I used to LOVE those, but due to various food restrictions I haven’t eaten one in several years. That flavor combination is one I still think of wistfully, however, so the other day I decided to come up with an ice cream version of a chocolate orange. My efforts did not disappoint: this ice cream is awesome! I really think it tastes exactly like a chocolate orange in ice cream form (well, at least, what I remember a chocolate orange tasting like). 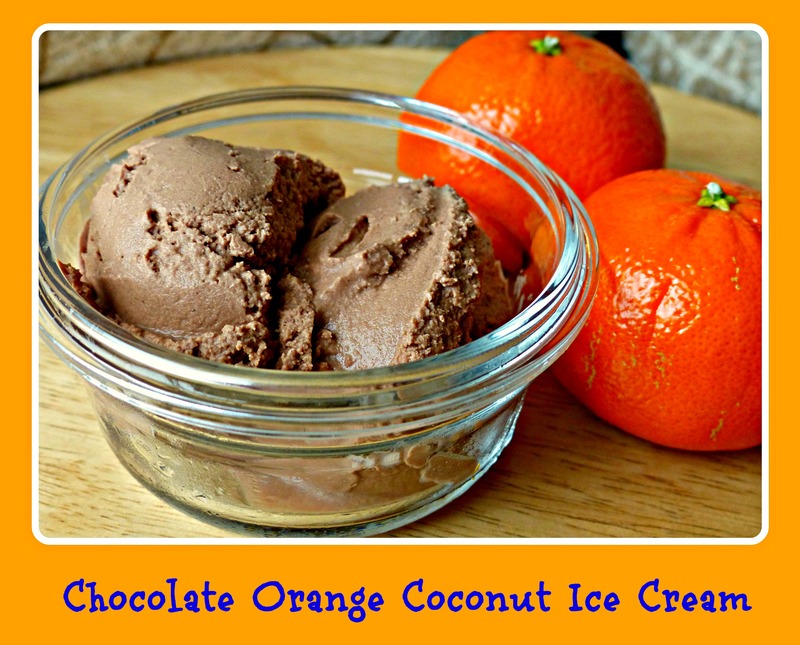 If you like the chocolate plus orange flavor combo, you absolutely must try this ice cream. I don’t think the coconut flavor is very noticeable in this recipe. As I’ve said many times, though, my coconut tastes are pretty dulled from all of the coconut products we eat here, so your opinion may differ. Mix coconut milk/cream, cocoa powder, honey, stevia, orange extract and vanilla extract in a blender or by hand until all ingredients are evenly mixed. Pour into your ice cream maker and process until your desired consistency is reached. Serve immediately or put in the freezer for a few hours to make it firmer. Store leftover ice cream in the freezer, preferably in a wide, shallow container to simplify future defrosting. I am definitely going to try this when I get on the full GAPS diet! I can't wait!!! I always loved the orange chocolates too! My mom used to love Mandarin Chocolate Sherbet at Baskin Robbins. Looked like sticky tar to me. Your ice cream looks so much better, Meghan!